About Us - Arrow Educational Services, Inc.
Dr. Russell Marshall, President and CEO of Arrow Educational Services, Inc., has experience in all levels of education. He has served as a superintendent, assistant superintendent, principal, assistant principal, classroom teacher and bus driver. He is a former associate professor of educational leadership and Coordinator of the Superintendent Certification Program for both The University of Texas at Tyler and Stephen F. Austin State University. 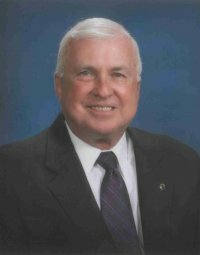 Recently retired as superintendent of Mabank ISD, he remains current on the laws and complexities demanded of the superintendency. Dr. Marshall has over 38 years of service to Texas school children. He was twice named the Region 10 Superintendent of the Year, having received this honor in consecutive years. He is currently an adjunct professor of superintendent training, and he possesses the innate ability and expertise needed to recognize characteristics and chemistry vital to a successful superintendent search. He and his wife, Tammye, have been married over 36 years. They are the parents of four wonderful children. Jordan Costlow is a graduate of Stephen F. Austin State University and the University of Texas at El Paso and is currently a nurse practitioner and mother of precious granddaughter, Emma; Griffin is a graduate of Tarleton State University and owns his own oil and gas service company in Midland; Landon is a graduate of Texas A & M University and is employed by J.P. Morgan in Denver; and Alden is a student in the McCombs Business School at the University of Texas in Austin. Four children (and Russell) create a huge challenge for Tammye. Jim Dunlap, Chief Operating Officer, and Lead Consultant is a veteran educator with 50 years of experience in Texas public schools as a janitor, teacher aide, bus driver, teacher, principal, business manager, superintendent, education service center staff member and consultant. For twenty-five of those years he served as superintendent in three outstanding Texas school districts: Diboll, Beckville, and Hallsville, as well as occasionally serving as interim superintendent. Boards of Trustees in Diboll and in Hallsville nominated him as Superintendent of the Year, and he was twice selected as Region 7's nominee for State Superintendent of the Year. He was honored in 2016 as a Carthage High School Distinguished Alumnus. He has conducted and led hundreds of school board workshops as well as being recognized as a mentor for superintendents and principals. For several years, he held a variety of leadership positions with the Region 7 Education Service Center, including administrative services division director and later served as part-time Field Service Agent. He now serves as a member of the Region 7 ESC Board of Directors. He was an adjunct instructor in the principal preparation program for Texas A&M-Texarkana, and he was a certified school district monitor for the Texas Education Agency. While serving as editor of www.TexasISD.com’s companion electronic newsletter, "The Lone Finalist" he was instrumental in keeping Texas educators current on critical school issues. These strong, widely-recognized experiences provide him with a bond of mutual respect and common service with superintendents and school board members. His wife of 49 years, Linda, is also a retired and respected school administrator in her own right. They are the proud parents of two wonderful adult children and five of the “grandest” grandchildren ever. Two grandsons are U.S. Marines, another an elementary student in Moore, OK, one granddaughter at Panola College and another at LeTourneau University.